With Invisalign aligners there are no metal wires or bands to irritate your mouth. You can take them out when you eat so there are no food restrictions. 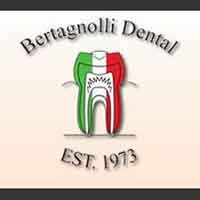 If you are considering Invisalign and looking for an Invisalign dentist in Westminster, Bertagnolli Dental is the office to call. Unlike traditional metal braces, Invisalign is comfortable to wear, removable and invisible. They gradually reposition your teeth to give you a beautiful healthy smile. Best of all, they are almost invisible so no one will notice.